The exterior building products that we promote are thoroughly tested, available in a wide range of options, and backed by industry leading warranties. (We are an Authorized Dealer) - Voted #1 Home Improvement Franchise 3 Times, Rated Top 10 National Firms by Remodelers Magazine, Guinness World Record Holder, And More! "Seamless steel siding is the number one choice for the homeowner who wants durability and beauty along with the time-saving benefits of a complete maintenance-free exterior. Trust your home to a United States Seamless professional and you'll never have to worry about the exterior of your home again." Excerpt from http://www.usseamless.com, 8/28/12, 1:42pm. See how your home will look in a wide range of steel siding colors... check out United States Seamless Color Your World application. 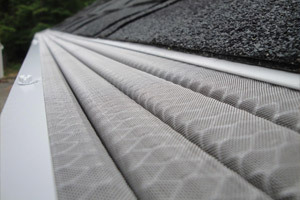 At Sammon Home Improvement we trust the seamless gutter systems produced by United States Seamless. 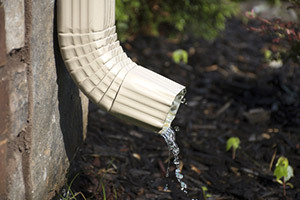 Available in a variety of colors to match your home, this stylish and effective rain carrying system is complete with SuperSpout™ downspouts - "...a 3-inch square downspout and elbow that reduces clogging and improves water flow by 50 percent over conventional downspouts." Excerpt from http://www.usseamless.com, 8/30/12, 3:53pm. At Sammon Home Improvement we are an authorized dealer of Walsh Building Products, primarily focusing on their Tundra Window Systems. Walsh windows are made to withstand the rugged winters of the Upper Midwest (Minnesota, Wisconsin, Michigan, the Dakotas) and Canada. With their manufacturing facility located in our home state - Duluth, MN - you can be assured that they know exactly what their windows need to endure. Designed to meet your style, Pella's expanding selection of storm doors include decorative designs and roll out of sight screens. Built with the same quality and detail that goes into all of Pella's products, you simply can't go wrong with one of their storm doors, no matter the style you choose. Storm door styles include Pella® Select, Rolscreen®, Pella Fullview, and Pella Standard Screen. Bayer Built's exclusive Acclimated Entry Systems are available in hundreds of styles in wood, fiberglass, and steel - with or without glass. 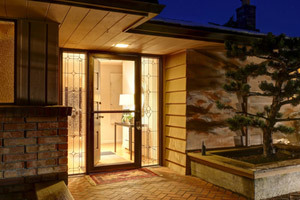 As a Central Minnesota based company, their entry doors are built using premium materials to withstand the Upper Midwest's extreme weather conditions. Featuring Endura's FrameSaver frames, Z-Series sills, and premium weather sealing, as well as a host of customizable accessories, Bayer's Acclimated Entry Systems will not only provide visual appeal for your home but will also boost its value. 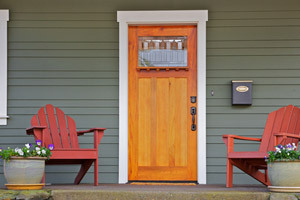 Start customizing your entry door system today... bayerbuilt.com/doors/exterior-doors.